Take your favorite games with you on the go. 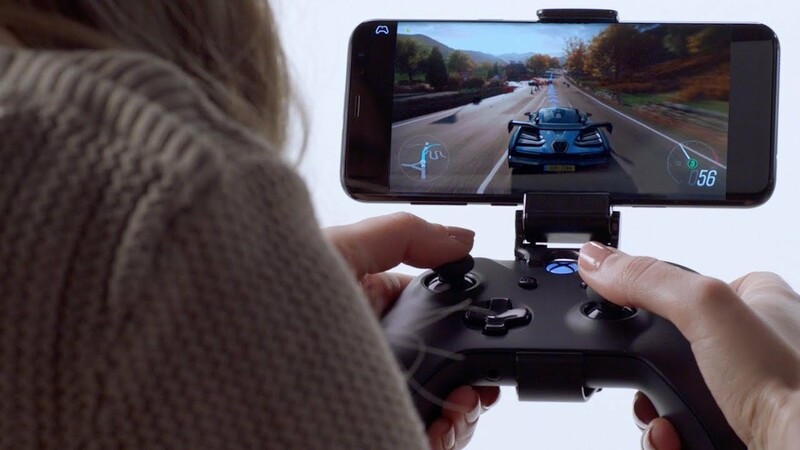 Microsoft has announced Project xCloud, a new game streaming service meant to allow players the freedom to play their favorite games on the device they choose. It'll let folks play their favorite console and Windows PC games on mobile devices, and a whole lot more, in fact, as Microsoft is looking to provide the same kind of console and PC experience for those gaming on their phones and tablets. Microsoft announced in a blog post on its official site that it will be "testing Project xCloud today," as it continues to work out the many kinks associated with game streaming and the platform in general. "The test runs on devices (mobile phones, tablets) paired with an Xbox Wireless Controller through Bluetooth, and it is also playable using touch input. The immersive nature of console and PC games often requires controls that are mapped to multiple keys, buttons, sticks and triggers. We are developing a new, game-specific touch input overlay that provides maximum response in a minimal footprint for players who choose to play without a controller," said Microsoft. Project xCloud supports both 4G and 5G-enabled devices, along with Microsoft Azure to keep things running stable. The project will enter public beta in 2019, though the official blog post doesn't make any note of a release date or when gamers can get their hands on the new test program. Google recently debuted its own streaming platform, Project Stream, last week, with a beta period beginning this month. It will be interesting to see how the two platforms differ, and what their various options will include since they will be competing with each other for similar players shortly after launching. Check out the videos above for a better look at what Microsoft envisions for Project xCloud. Are you interested in participating in a streaming future? Everyone's gonna try to make this cloud gaming thing work again, eh? I guess if developers can target PC only and then their games will run *everywhere* that would be a pretty cool thing. Geforce Now was pretty neat and impressive at 1080p60 until it wasn't and the connection got dropped to 720p30 and it looked awful. I wish everyone trying this luck, especially with bandwidth caps being a thing.